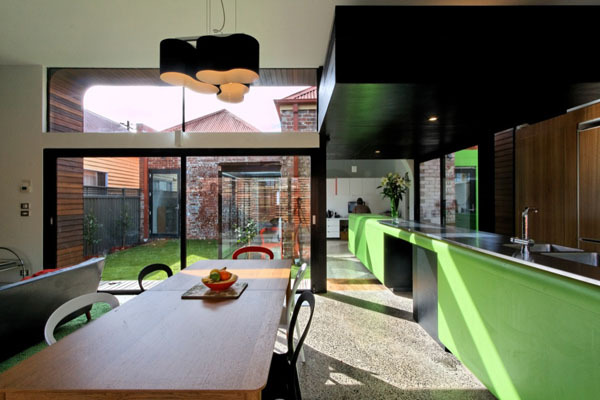 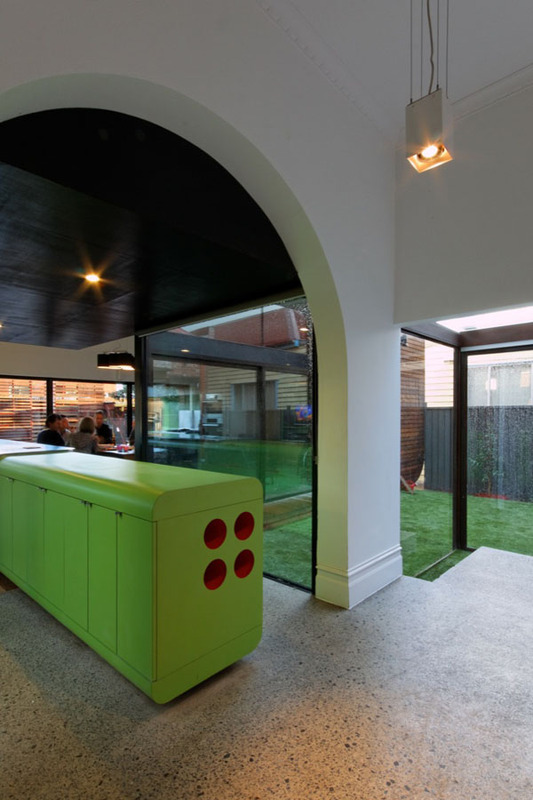 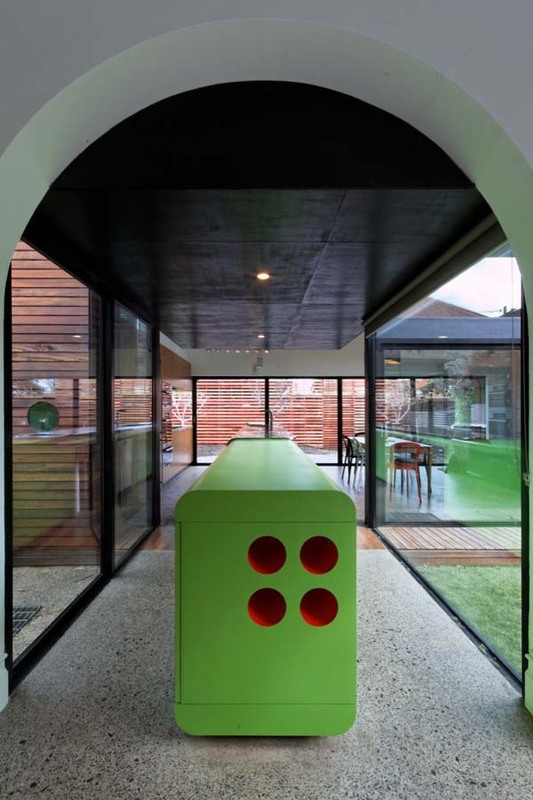 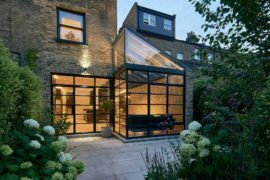 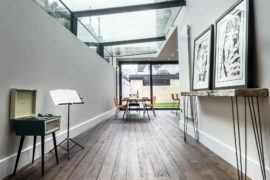 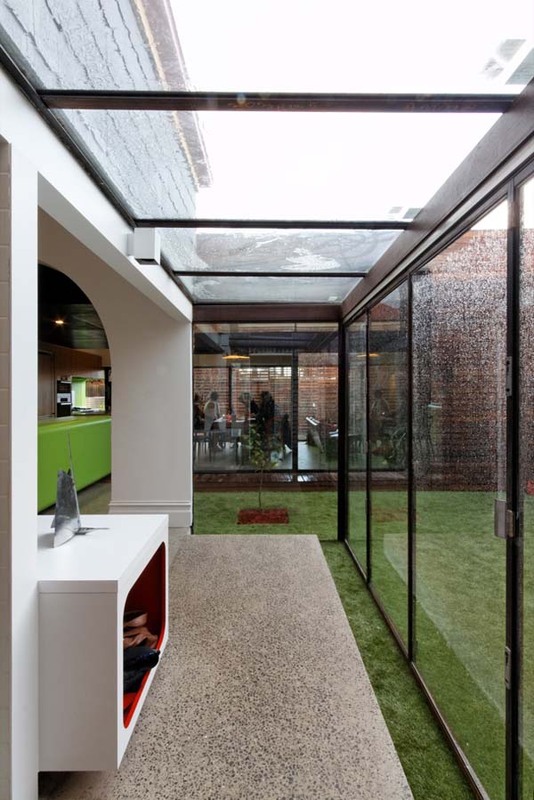 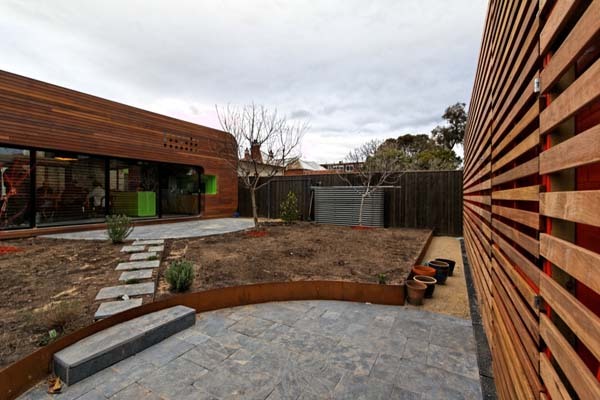 Another beautiful conversion of a Victorian house by Andrew Maynard Architects, this beautiful contemporary residence showcases a little bit of funky and industrial charm, making you think of commercial and web design. 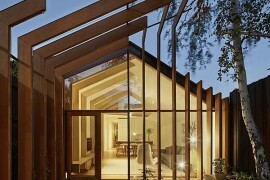 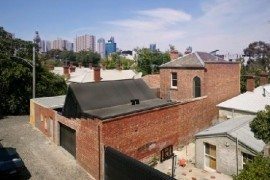 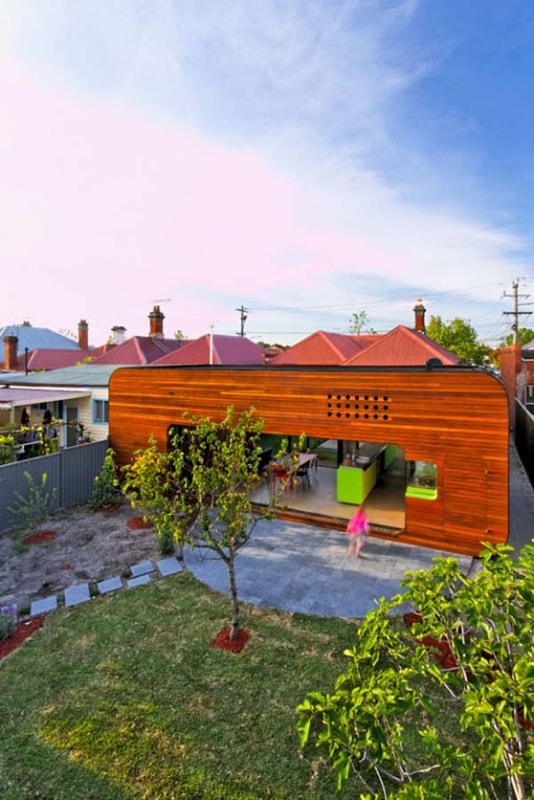 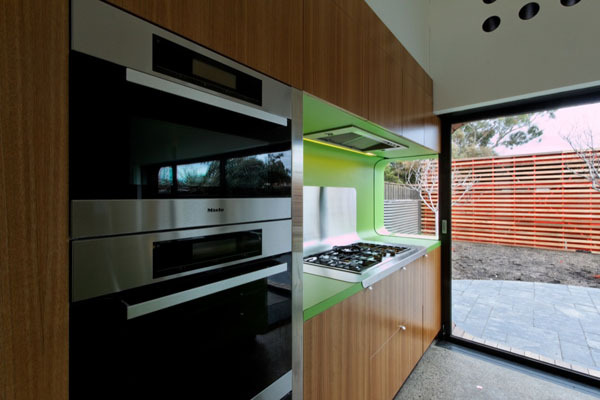 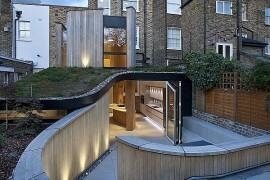 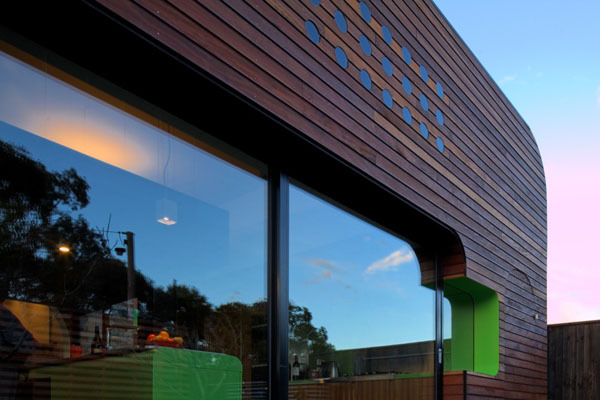 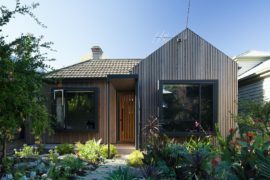 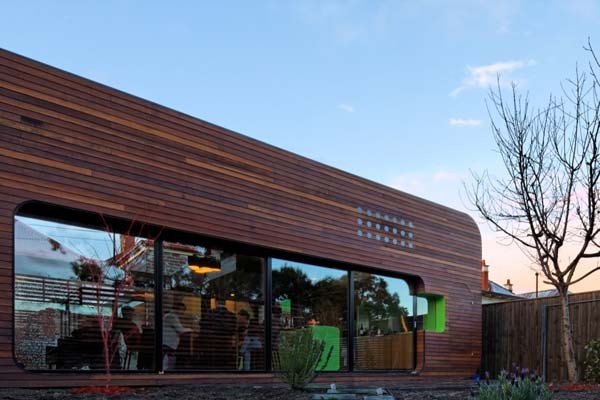 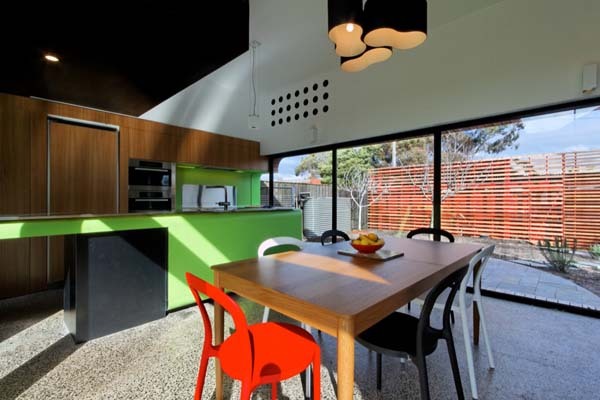 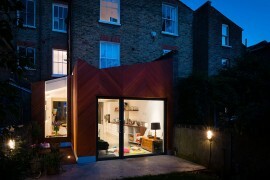 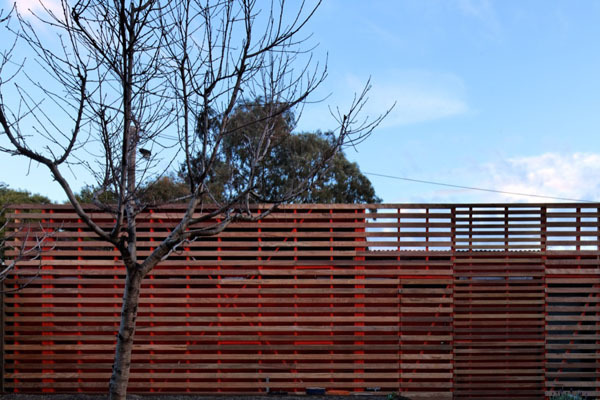 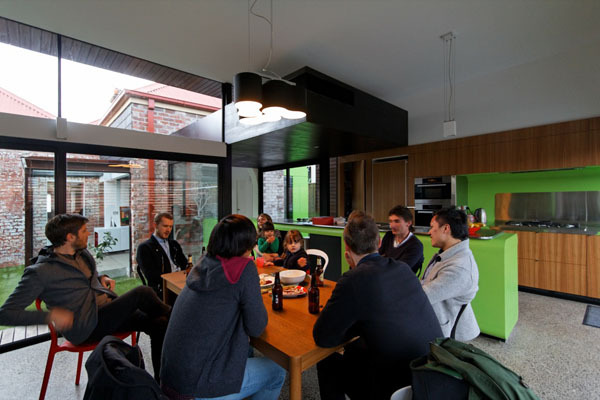 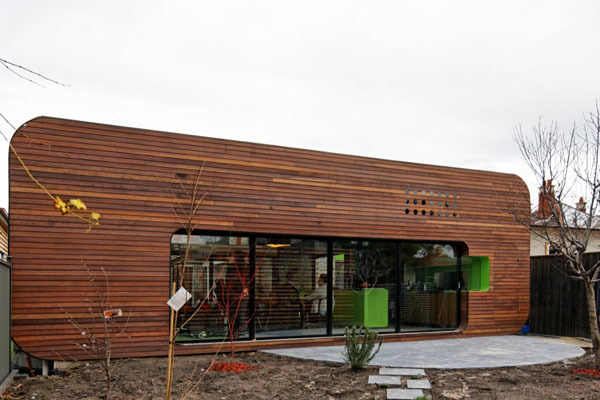 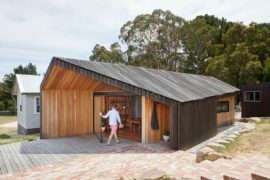 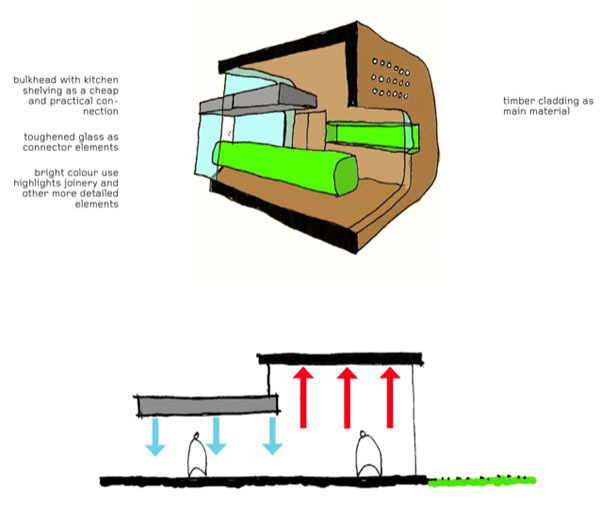 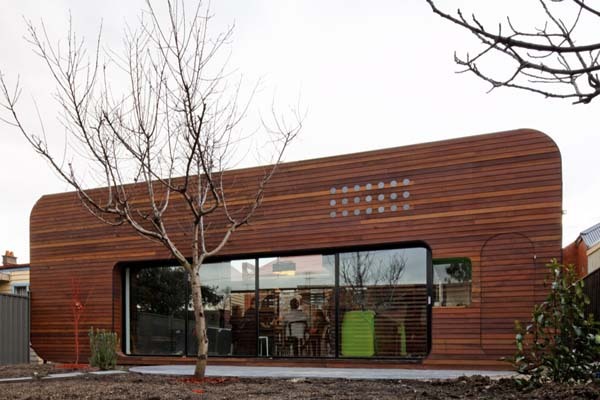 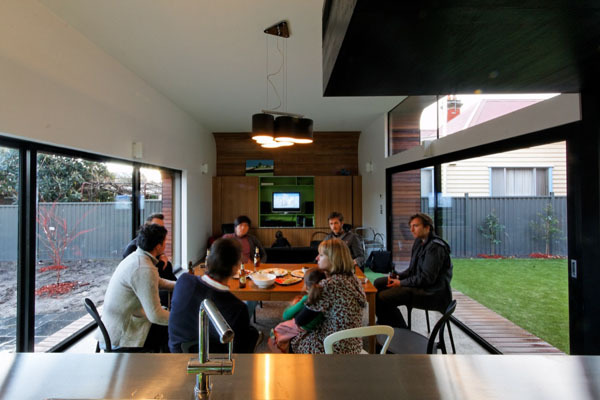 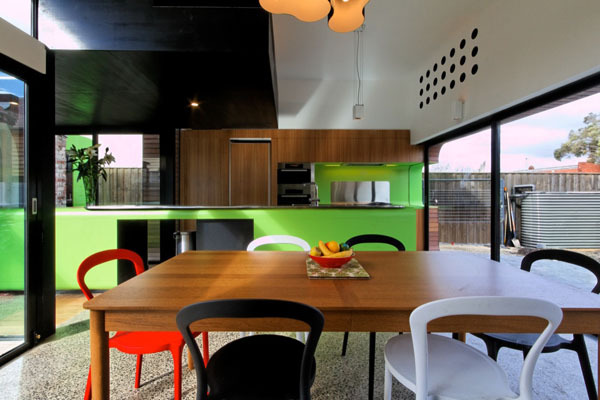 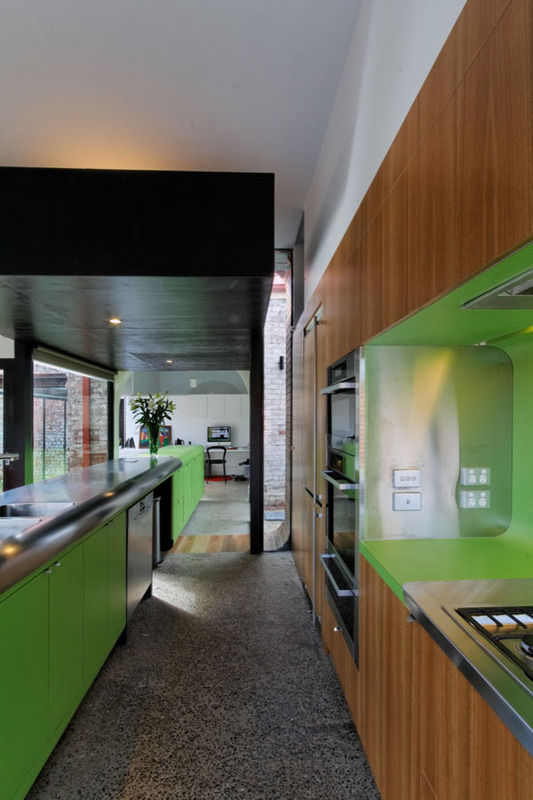 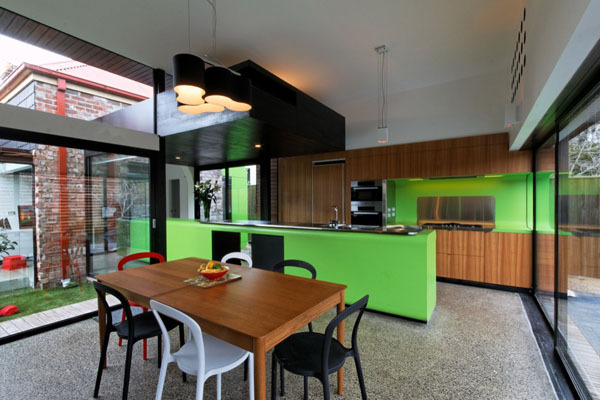 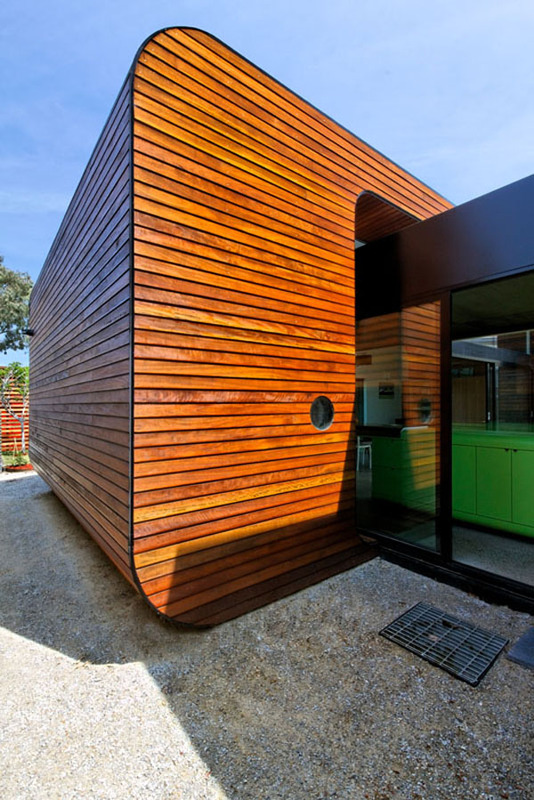 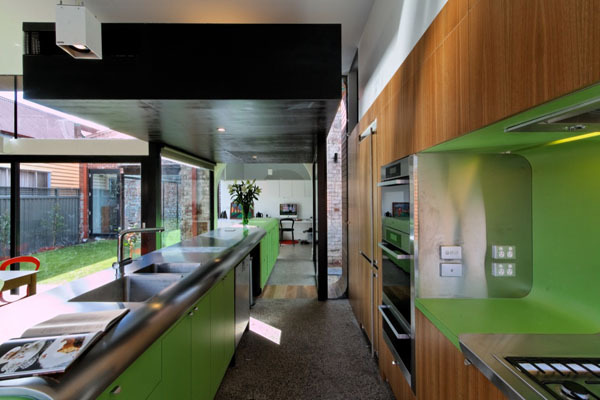 The building, called the Mash House, is actually made up of 3 parts, the original Victorian dwelling, the contemporary addition, featuring a minimalist timber clad facade with rounded edges, and the garage. 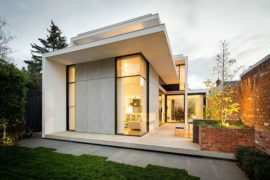 This modern and dynamic home is characterized not by a transition between old and new, vintage and contemporary, but between inside and outside. 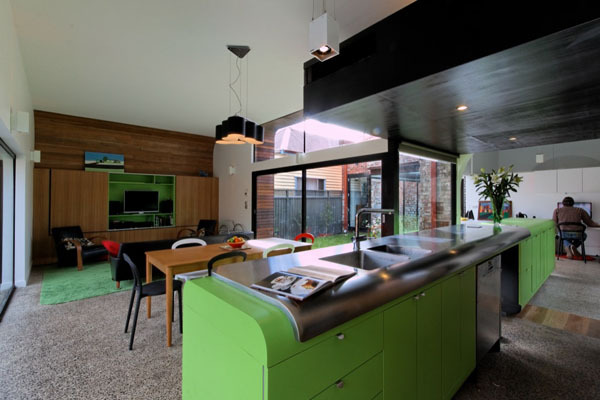 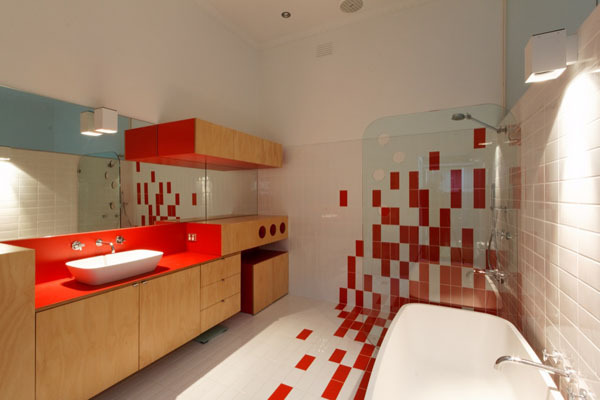 The furnishing of the interiors is full of intriguing details, surprising edges, refreshing colors, making it a comfortable and fun place to live in.